The real estate industry cannot be trusted to remain objective about the B.C. government’s recent imposition of a 15 per cent property transfer tax on foreign buyers, according to a veteran observer. 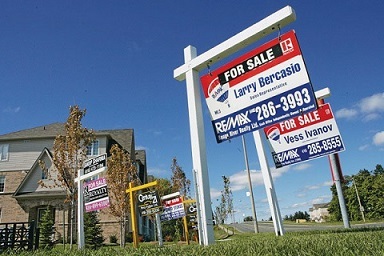 In an August 31 analysis, The Globe and Mail national affairs columnist Gary Mason noted that the emergence of an increasingly loud chorus against foreign investors—supposedly funnelling unchecked sums into Canadian real estate—essentially left B.C. officials with no choice but to take quick action. “The province’s long-governing party faced the real prospect of losing next year’s election unless it did something to address public anger over the high cost of housing. Which is how we ended up with the government in July imposing a 15-per-cent property-transfer tax on foreign nationals buying real estate in Metro Vancouver,” Mason wrote. The industry’s response to the tax has been baffling, he added, especially since their concerns about foreigner-driven price spikes became visible only recently. “It was not long ago that the real estate community in Metro Vancouver held an unequivocal view of the notion foreign nationals from China were buying up the region in bulk and forcing house prices obscenely skyward in the process: It was unadulterated bunk,” Mason said. “It has been fascinating, in the interim, to observe the angst the tax has stirred in the same real estate sector that had been insisting foreign nationals had little to do with the spectacular rise in house prices. Today, many [industry players] are suggesting sales have fallen off a cliff since the tax was introduced. Prices are cratering. The analyst argued that any Chicken-Little-style warnings of the “death of real estate” in B.C. would be “ludicrous”.